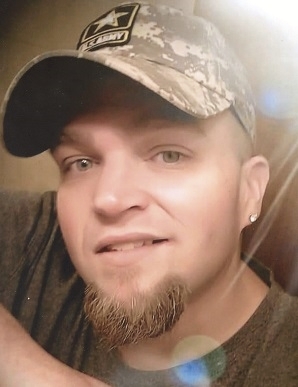 Gary A. Lockrow, 33, of Franklin, died at Dartmouth-Hitchcock Medical Center in Lebanon on Jan.16, 2019. He was born in Manchester on Nov. 2, 1985 the son of James and Donna (Pelky) Lockrow. He resided in Franklin most of his life and graduated from Franklin High School in 2005. Gary enjoyed civil war reenactments, motorcycling, drawing and coloring his pictures, helping anybody in need and spending his time with family and friends. Family members include his parents, Jim and Donna (Pelky) Lockrow of Franklin, a son, Logan Lockrow of Tilton, a brother, Jason Lockrow of Franklin, maternal grandmother, Doris (Bergeron) Pelky of Laconia, aunts and uncles: Brenda (Pelky) Grasso and husband Andy of Las Vegas, Michael Pelky of Laconia, Mark Pelky of Franklin, Rene Gagnon and wife Judy (Lockrow) of Franklin, nieces and nephews: Ethan, Kristen, Brayden Lockrow and many friends. A time of visitation will be held on Friday, Jan. 25, 2019 at Thibault-Neun Funeral Home, 143 Franklin St., Franklin from 2-3:00 pm. A celebration of Gary’s life will follow at the Merrimack Valley Railroad Station, 11 Park St., Northfield, NH. Donations in memory of Gary may be made to: Franklin Animal Shelter, PO Box 265, Franklin, NH 03235.